"If anyone asks, we're not friends!" The Orchard has debuted an official trailer for the film Super Dark Times, an indie thriller about a group of teens whose friendships is tested by a violent tragedy involving a samurai sword. This feels like a stylish new mix of Stand By Me and Donnie Darko, with a dash of "Stranger Things" thrown in, though the official description says it's a "meticulously observed look at teenage lives in the era prior to the Columbine High School massacre." Very interesting reference for the setting. The cast includes Owen Campbell, Charlie Tahan, Sawyer Barth, Max Talisman, Elizabeth Cappuccino, and Amy Hargreaves. This looks damn good, I am very much looking forward to catching this. The main teen, Owen Campbell, is also the star of another underseen indie, As You Are. He's on the rise in a big way. A harrowing but meticulously observed look at teenage lives in the era prior to the Columbine High School massacre, Super Dark Times marks the feature debut of gifted director Kevin Phillips, whose critically acclaimed 2015 short film "Too Cool For School" premiered at the Cannes Film Festival. 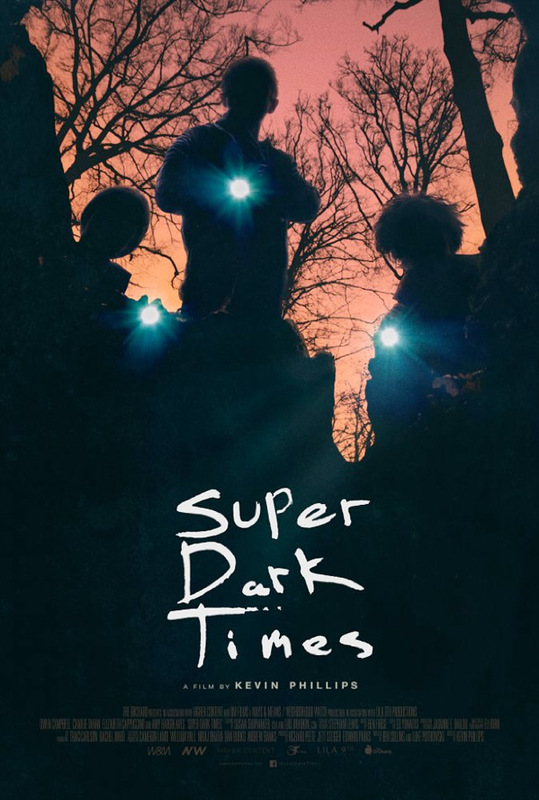 Super Dark Times is directed by filmmaker Kevin Phillips, making his feature directorial debut after a few short films. The screenplay is co-written by Ben Collins and Luke Piotrowski. This premiered at the Tribeca Film Festival earlier this year, and also played at the Rotterdam, New Zealand, and Fantasia Film Festivals. The Orchard will release Super Dark Times in select theaters + on VOD starting September 29th this fall. Interested?